In a modern, market economy, the availability of credit is critical to the functioning of the economy. Too little credit can hamstring an economy, while too much can cause inflation. 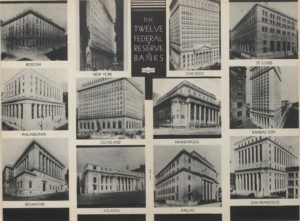 The Federal Reserve (or Fed) plays a key role in the macro economy by regulating the supply of credit. In addition, it promotes stability in the financial system, and provides banking services to government and to commercial banks.